This week I have a special tribute to one of America's all-time great players. One by one, all the heroes of my childhood pass on. 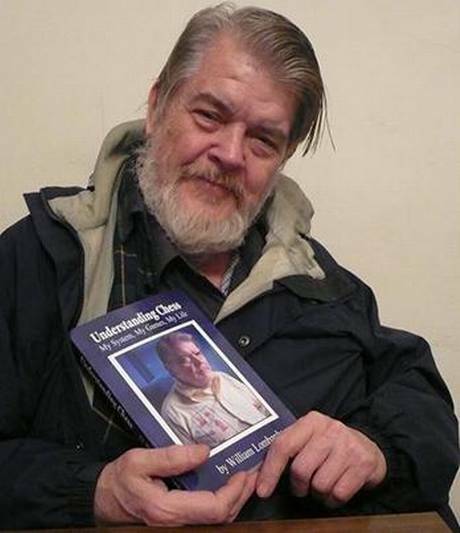 In the last few years on my show, I have honored Larry Evans, Robert Byrne, Walter Browne, and Arthur Bisguier. To this list, we add William Lombardy, who died recently in California, a bit before his 80th birthday. Lombardy's career was full of achievements. He became, I believe, the first American since Paul Morphy to claim a world title when he won the World Junior Championship in 1957. Playing over the games, it's clear that the competition wasn't as tough as it now, or perhaps even when I was a junior in the early 80s, but no matter what, 11-0 is an incredible achievement. I can't think of anyone winning a world title at any level with such a massive perfect score. Here is a game from that amazing tournament. Lombardy played many times on the U.S. national team with great distinction. He played in seven Olympiads, winning three individual silver medals, one gold, and four team medals. He also played for the US in seven World Student Team Championships, earning two gold medals, one silver, and four team medals. In every one of these events, Lombardy made a plus score, usually a big one. Perhaps his best team result was in the 1960 World Student Team Championship in Leningrad. The World Student Team was a very important event for players under 26 years of age. It still existed in my youth, and I played in 1981 and 1983, though I think the name was changed to World Youth Team because it had nothing to do with actually being enrolled as a student. Nowadays, every nation fields a team comprised mostly of players under 26 so it is superfluous now, but back then it was quite meaningful. In Leningrad, Lombardy posted an amazing 12-1 score, highlighted by a win over future world champion Boris Spassky. It may be a bit surprising that Lombardy never won a US Championship. But keep in mind, his career overlapped with Bobby Fischer, who was six years younger. They, of course, grew up as protegees of the legendary chess teacher Jack Collins. Lombardy is often thought of as Fischer's coach in those early days and was his second in Reykjavik many years later in 1972. By all accounts, Lombardy was instrumental to his success in that match. 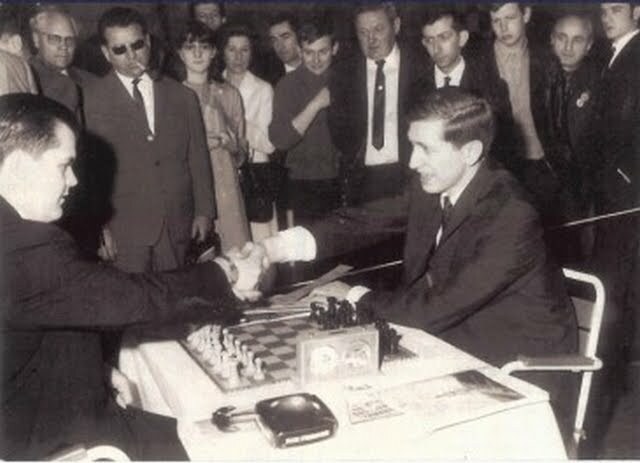 Lombardy finished second to Fischer in 1960-61 but shortly thereafter decided to study for the priesthood, and his amateur status in chess no doubt hindered his ability to win the national title. He was for many years among the top handful of American players nonetheless. I would like to take a look at his win in the 1969 US Championship over another American legend, Pal Benko, who now seems like the only member of that old guard who is still among us. Lombardy was a complicated person. He could be cantankerous, and always spoke his mind. He took perceived slights personally and deeply and could hold a grudge forever. So he wasn't the easiest man to get along with. But he had a highly positive side too. He was a man of great charm, and many players and fans recount personal stories of Lombardy's humor and kindness. 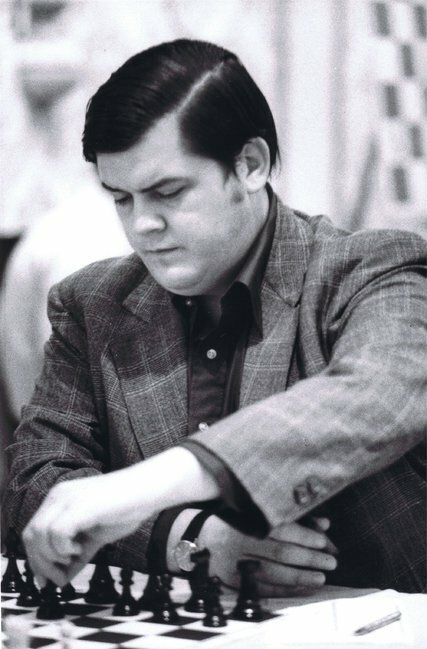 He was a larger than life figure, and in any case, his chess accomplishments speak for themselves. That brings us to the elephant in the room. Years ago Lombardy was chosen for induction into the US Chess Hall of Fame. He became the only person, before or since, to decline that honor. Subsequent attempts at reconciliation did not go well. Lombardy wanted to be paid for his induction, to compensate for past wrongdoings by the USCF (the federation does not run the HOF; the US Chess Trust does). I'm on the HOF committee so I have been in a lot of discussions about Lombardy. It is a unanimous view that he should be in the Hall. However, since to his death, he stated that he did not want to be inducted, it is unclear if he will have that formal distinction added to his legacy.